Home / Joomla Web Development / Why has Joomla become a favorite CMS around the world? Why has Joomla become a favorite CMS around the world? Joomla has become one of the most used and preferred CMS. 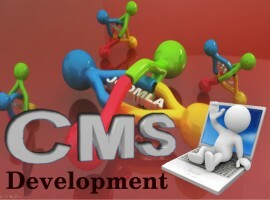 You can see people hiring Joomla Web Development Company when they want someone to build a CMS website. Are you wondering why in the world are people going after Joomla? Why can’t they simply choose another CMS from hundreds of CMS? If you ask this question many people will pretty much give you the same answer. Let’s have a look at what kind of answers you would be getting if you ask this type of questions. CMS websites are developed so that even the people, who absolutely know nothing about programming languages, can easily maneuver through it. You will no longer have to pull out your hair due to frustration because you could not understand how you could change the images or write new articles. With Joomla as your CMS you can change images, write new articles and perform other functions in a matter of time. So, you will no longer have to face big headaches nor lose large amount of hair, if you hire Joomla Web Developers in India. In simple words, Joomla is very easy to use and anyone can use it and understand it without any hitch. It is not necessary that the visitors who visit your website understands English or a certain language that you have used in your website. So, what if the visitor only understands Japanese or Chinese? Such visitors will leave your website and search for another website where the language they understand has been used. So, to prevent you from losing possible customers, Joomla supports various languages. So, if you receive a Chinese visitor then they will simply switch the website from English language to Chinese and use it. This is one of the most user friendly features of Joomla. The Joomla offers various kinds of templates. You can choose any templates that you want to show in your website. Some of those templates are free whereas some of them are paid ones. The paid ones will obviously be more unique than the free ones. You also have the facility to change the templates in the future as well. If you hire a Joomla Web Developers in India once, then you will no longer have to rely on web designers when you want to change an image or article or information in your website. You can simply perform these tasks by yourself in a matter of seconds. Thus you will no longer have to rely on web designers and pay extra money for the change.